ABUJA—-The Federal Government, on Thursday, docked Senator Dino Melaye before an Abuja High Court sitting at Maitama, over allegation that information he gave to the police about an assassination attempt on his life on 15 April 2017, was false. The lawmaker who is representing Kogi West Senatorial District, was in the two-count charge marked CR/106/18, alleged to had falsely incriminated the Chief of Staff to Governor Yahaya Bello of Kogi State, Mr. Edward Onoja David, in the said assassination attempt. According to the charge dated January 31, 2018 and filed by the office of the Attorney General of the Federation, it was in the course of investigation that police discovered that Dino was attempting to frame-up some persons with his claim. Melaye was said to have told Abubakar, a son of a former governor of Kogi State in a telephone conversation how he framed Edward Onoja David in the assassination attempt. Meanwhile, shortly after he pleaded not guilty to the two-count charge, Dino who entered the dock at exactly 10:07am, through his lawyer, Mr. Ricky Tarfa, SAN, prayed the court to release him on bail pending the hearing and determination of the case. Melaye predicated his bail request on sections 35, 36(5) of the 1999 constitution as amended, as well as sections 158 and 163 of the ACJA, 2015. The embattled lawmaker told the court that he would be available to face his trial. However, FG, filed a five-paragraphed counter-affidavit in opposition to the bail application, insisting that Melaye “would not be found” if released on bail. FG based its opposition on what it termed as “attitude of the defendant”, who he said had on three occasions, evaded service of the charge by the court’s bailiff. It told the court that Melaye “was most likely going to use his office to intimidate all the potential witnesses”. “As prosecution, we not not only vehemently oppose this bail application, we owe it as a duty to advice this court to be weary of conditions to be imposed for the release of the defendant on bail, bearing in mind what happened in the case of Senator Nnamdi Kanu”, FG’s lawyer, Mr. Shuaibu Labaran added. In his response, Melaye’s lawyer maintained that fears FG expressed in its counter-affidavit were based on hearsays and unfounded speculations. “The defendant is a Senator of the Federal Republic of Nigeria, Chairman of Senate Committee of the Federal Republic of Nigeria and also a Member of the Constitution Amendment Committee”. He urged the court to exercise its discretion in favour of the defendant by granting him bail on self-recognizance. In her ruling, Justice Olasumbo Goodluck, held that FG failed to adduce sufficient evidence capable of warranting the court to deny Melaye bail. She held that FG’s counter-affidavit “was bereft of persuasive evidence in opposition to the application for bail”, adding that the prosecution failed to controvert depositions in Melaye’s application. The court held that the defendant is consitutionally presumed innocent until proven guilty, saying the prosecution was unable to establish with cogent and admissible evidence, why Melaye’s liberty should be cutailed. Besides, Justice Goodluck noted that sections 162 and 163 of ACJA allowed the court to grant bail where punishment for an offence does not exceed three years and where the prosecution could not establish exceptional circumstance. Consequently, the court granted Melaye bail to the tune of N100, 000, even as he was ordered to produce a surety that must be a civil servant not below grade level 14. The court held that the surety must be in the Federal Civil Service and must prove that he is resident within the Federal Capital Territory. The case was subsequently adjourned till May 16 and 17 for trial. Meanwhile, about 20 Senators stormed the trial court on Thursday to show solidairity to Senator Melaye who belongs to the All Progressives Congress, APC, party. Notably, most of the lawmakers that were in court and stayed till the end of the proceeding, were of the Peoples Democratic Party, PDP, extraction. Among the Senators in attendance were Andy Uba, Philip Aduda, Murray Bruce, Mao Ohuabunwa, Tayo Alasoadura and Shehu Sani. In a related development, a group of protesters besieged the main entrance to the court premises. Some of the inscriptions on placards the protesters wielded, read: #IStandWithDino, If You Speak The Truth You Die, Who is Afraid of the Truth, among others. Immediately the proceeding ended, jubilant Melaye told newsmen that he had prepared himself for the prison, even as he brought out some items, including toothpaste, tissue-paper and a bottle of Coca-Cola. Meantime, in count one of the charge, Melaye was accused of deliberately giving false information to the police to frame Governor Bello’s Chief of Staff as the mastermind of the assassination attempt on him at his hometown in Ayetoro-Gbede in Kogi State in April last year. He was in the second count, accused of making false statement of facts in a phone conversation with Mr. Mohammed Abubakar, a son of the late former governor of Kogi State, Abubakar Audu, with the intention of tarnishing David’s reputation. 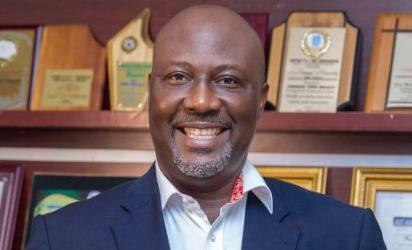 FG maintained that the offence allegedly committed by Melaye was punishable under sections 140 and 393 of the Peal Code Law, Cap. 89, Laws of Northern Nigeria, 1963. The offence attracts a maximum of two years imprisonment with an option N40 upon conviction of the defendant. The post Alleged False Asassination Claim: Dino docked, secures N100, 000 bail appeared first on Vanguard News.